Samsung has recently released its new "Print based Advertisement" on which they have compared features of all new Apple iPhone 5 with Samsung Galaxy S III Smartphone. 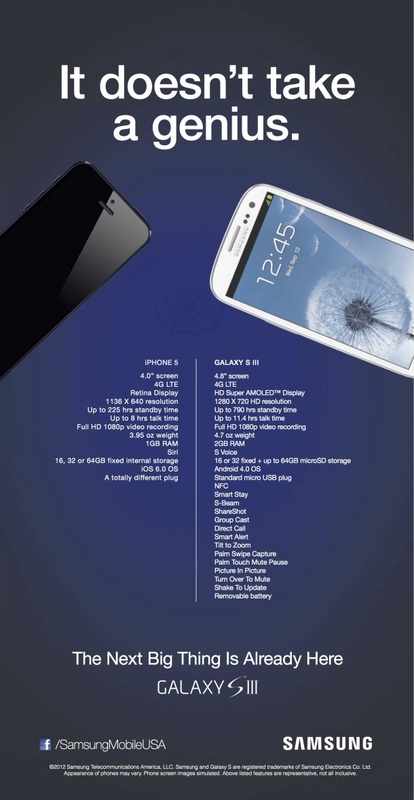 According to Samsung print ad, Apple iPhone 5 is not a Genius Smartphone as they are claiming of with the titled "It doesn't take a genius" through which Samsung is overtaking iPhone 5 with Samsung Galaxy S III device. 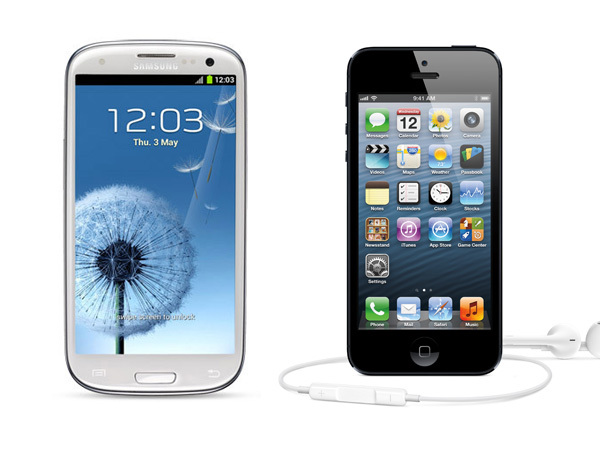 Samsung is taking on Apple iPhone 5 and have provided the Features Comparison of iPhone 5 and Galaxy S III Smartphone via Print based Advertisement with a tag line "The Next Big Thing is Already Here". Let’s have a look in following Infographic to determine which Smartphone is Best and Genius in terms of Features and Specifications. Let’s find out the Software, Hardware and Design Comparison between iPhone 5 and Galaxy S III Smartphone and tell us in comments which device you think is Best and Genius.